Enjoy your favourite movies and music with enriched sound, HDMI 1080p upscaling and wireless music streaming. Play DVDs, CDs and more! 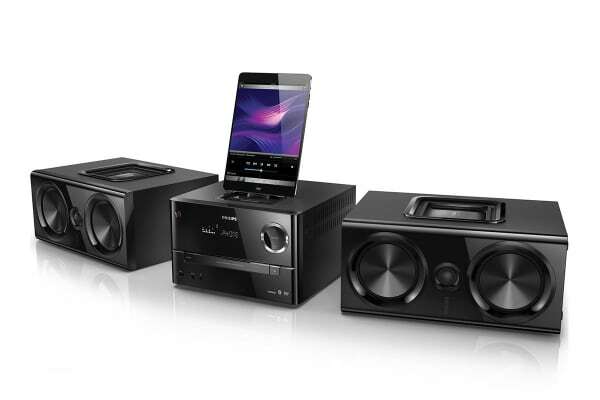 Play all your favourite music and movies with the Philips DVD Micro Music System. This system is compatible with most DVD and CD discs on the market. Enjoy crystal clear Full HD images with HDMI 1080p upscaling and exceptionally powerful sound thanks to wOOx Loudspeaker Technology. Enjoy your favourite music while charging your iPod/iPad/iPhone with the built-in Lightning connector. The Hi-Fi dome tweeter makes music sound detailed and natural.